Home Is Ready To Move In. *Across from the Gates of St. John (ST. JOHN with Cedar Lake Address). *Olthof Homes presents the energy saving SEQUOIA. *4 BEDROOMS, 3 BATHS, FULL BASEMENT. *Kitchen: Granite Countertops with Overhang, 42 Inch Maple Recessed Cabinets with Crown Molding, Undermount Sink. *Master Bedroom: Ceramic Floor, 3/4 Tiled Shower, Double Bowl Sink, Walk-In Closet. *Laminate Wood Floors: Foyer-Kitchen-Breakfast Room-Mud Room-Half Bath. *Amenities: 9 Foot Ceiling on Main Level, 12x12 Patio, Main Floor Finished Laundry Rm, Architectural Interior Trim Pkg, Custom Color Paint, White 6 Panel Doors & Trim, Ceiling Fan, Concrete Drive, 92% Efficient Furnace, Architectural Roof Shingles, Garage Door Opener, Basement Egress Window, Landscape Pkg (Front Yard Sod, Bushes, Mulch, 3 Trees). *Energy features incl LowE Energy Star qualified windows, Tyvek ext house wrap, sealed air ducts/registers. 10yr structural transf warr w/ Customer Care Program. *Hanover Schools. Directions:Route 41 to Route 231, East to Park Place (Entrance to Mill Creek subdivision across street from Gates of St.John), South to Summerlin Street. South on Summerlin to Mill Creek Raod, West to Home. 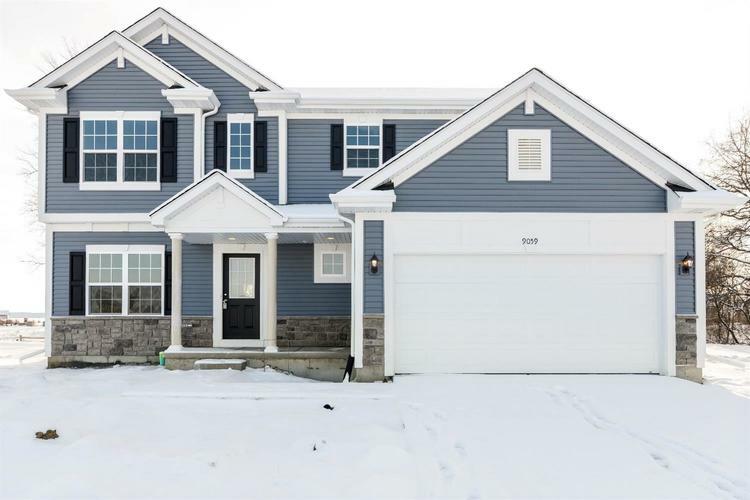 Listing provided courtesy of Olthof Homes.